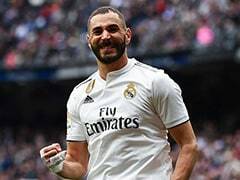 Real Madrid confidently launched their pursuit of a fourth successive Champions League title with a 3-0 win over AS Roma. 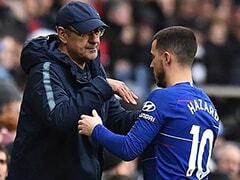 Gareth Bale scored as Real Madrid moved on from the departures of Cristiano Ronaldo and Zinedine Zidane with a 3-0 win over AS Roma on Wednesday to confidently launch their pursuit of a fourth successive Champions League title. Isco curled in a terrific free-kick just before half-time at the Santiago Bernabeu, with Bale powering in a second and Mariano Diaz striking late as Real made a convincing start to their Group G campaign. 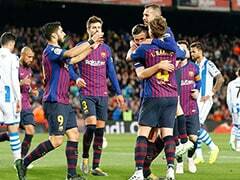 "I thought the performance was very good tonight; the only disappointment was that we didn't score more," said Bale, who struck for the fourth time in five matches. "Real Madrid will always be Real Madrid, no matter who leaves. We keep on trying to win, keep on trying to score goals." 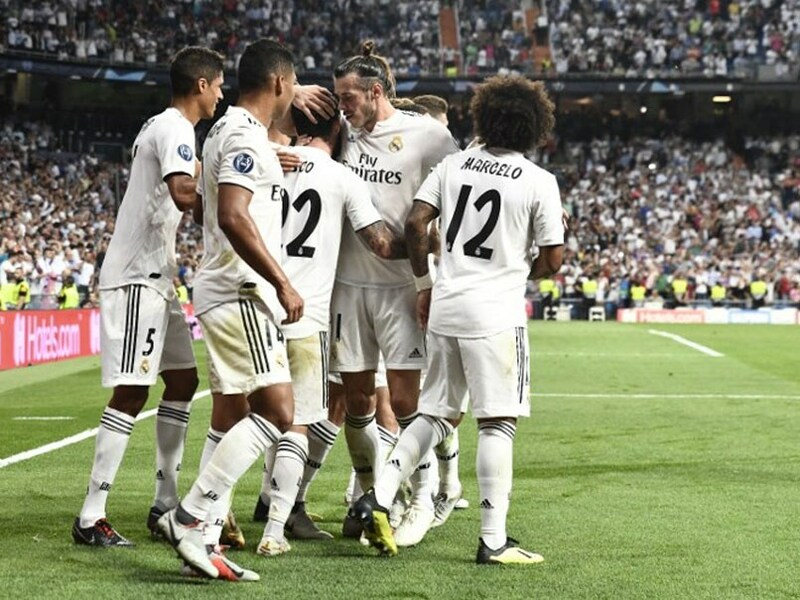 Julen Lopetegui fielded 10 of the 11 players who began the 3-1 victory over Liverpool in last season's final, with Bale -- the two-goal hero after coming off the bench in Kiev -- taking the place of the departed Ronaldo. Keylor Navas was selected in goal ahead of close-season signing Thibaut Courtois, while Roma boss Eusebio Di Francesco handed a senior debut to 19-year-old midfielder Nicolo Zaniolo. 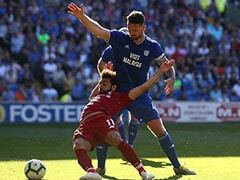 Last season's semi-finalists quickly found themselves subjected to sustained pressure, as Bale drilled narrowly wide of Robin Olsen's left-hand post within the opening five minutes. 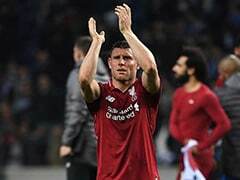 Sweden international Olsen, the replacement for Alisson Becker following his move to Liverpool, stuck out a strong hand to deny Isco after he was slipped in by Luka Modric, the UEFA Player of the Year. 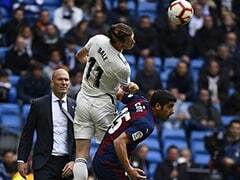 Dani Carvajal should have done better with a header when left unmarked at the far post, while Olsen tipped over from Sergio Ramos from a corner as Real asserted their dominance. An Isco snapshot forced Olsen to turn behind, but the Spain midfielder put Real ahead on the stroke of half-time when he majestically whipped a free-kick over the wall from 20 yards. Turkish winger Cengiz Under went close to an equaliser early in the second half after a darting run and stinging shot drew an excellent stop from Navas. Bale then saw a deflected effort bounce back off the crossbar, but the Welshman doubled Real's lead on 58 minutes with an angled low finish after he was released into space down the left by Modric. Aleksandar Kolarov's vicious strike from distance drew another smart stop from Navas, with Olsen pulling off an even better save to keep out a left-footed effort by Toni Kroos.